What is the best oil to use in racing engines? Professional racers across North America recognize AMSOIL products as the best and most effective available. The number of championships and checkered flags claimed by AMSOIL sponsored racers is testament to the extraordinary performance AMSOIL products provide. Many other oil companies formulate advanced lubricants available only to the professional racers they sponsor. By their standards, all AMSOIL formulations are advanced. The same products used by AMSOIL-sponsored professional racers across all disciplines are the same products available to you. Briggs & Stratton is the world’s largest small-engine manufacturer, and karting is the fastest-growing motorsport in the U.S. Tens of thousands of racers rely on Briggs & Stratton engines at the track every weekend. While using competing oils in the extreme operating conditions of its racing motors, Briggs & Stratton experienced myriad failures and issues, including accelerated wear, foul odor, oil vaporization and very short change intervals. Looking to resolve the problems, Briggs & Stratton chose AMSOIL to formulate Synthetic 4T Racing Oil. AMSOIL entered the partnership enthusiastically, formulating an oil that provides outstanding protection and performance in extreme operating conditions. Providing an oil exclusively for Briggs & Stratton’s highest-performing racing engines strengthens the AMSOIL reputation for quality and increases brand recognition. Premium Oil for Severe Racing ApplicationsSynthetic 4T Racing Oil is formulated specifically to handle the severity of Briggs & Stratton modified competition engines used in kart, junior drag, quarter midget and other racing applications and is recommended for any four-stroke air-cooled competition engine, whether single- or multi-cylinder, splash- or pressure-lubricated. Combining the protection qualities of a heavy oil with the performance benefits of a light oil, Synthetic 4T Racing Oil helps racers elicit the most horsepower and longest life from their engines. It provides outstanding protection in both stock karts and limited-mod kart applications running over 10,000 rpm, with no sacrifice in horsepower. Racers using competing oils need both a light and a medium oil to achieve a similar combination of protection and horsepower. Synthetic 4T Racing Oil was dyno-tested using the Briggs & Stratton Animal engine, and proven to provide outstanding performance in the most-extreme conditions possible. 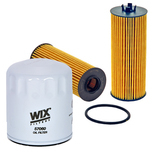 It effectively resists the elevated heat common to high performance racing engines, and it protects against the formation of corrosion between races and during longer storage periods. Dominator Coolant Boost has been reformulated with the latest organic-acid technology. The new technology adds to the benefits provided by the previous formulation, including reduced engine temperatures by up to 25ºF (previously 19ºF) in straight-water applications and up to 54 percent faster engine warm-up times (previously 45 percent). Organic acids are more robust and longer-lasting than inorganic acids, offering excellent resistance to scaling, drop-out and corrosion. They also contribute to improved compatibility; the new Dominator Coolant Boost formulation can be mixed with soft, tap and distilled water, in addition to any brand of antifreeze. Users will also notice the product is now orange in color. Resists extreme heat to virtually eliminate slippage and improve shift performance while protecting against wear, helping racers improve on the track and save money in the garage. In suspension systems where less dampening and quicker rebounds are desired, including those made by Showa*, Kayaba*, Bilstein*, RydeFX*, Penske* and WP* forks; and RACETECH* (US1) and Custom Axis*. In suspension systems where more dampening control and slower rebounds are desired, including those made by Ohlin*, FOX*, RACETECH (US2), Koni* and WP shocks; and Harley-Davidson* forks that recommend type “E” or “B” fork oil. 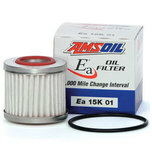 Ea Oil Filters have one of the best efficiency ratings in the automotive market providing a filtering efficiency of 98.7 percent at 20 microns. Use PART NUMBER dropdown to select filter number.